Alas, seeing “Little Red Riding Hood and the Monsters” is one of those childhood dreams that never materialized, like the Jetsons’ flying cars and in-home Pop Tart-making machines. Thanks to saturation advertising on a certain Philadelphia kiddie show – thanks a lot, Gene London — I became one obsessed 5-year-old. 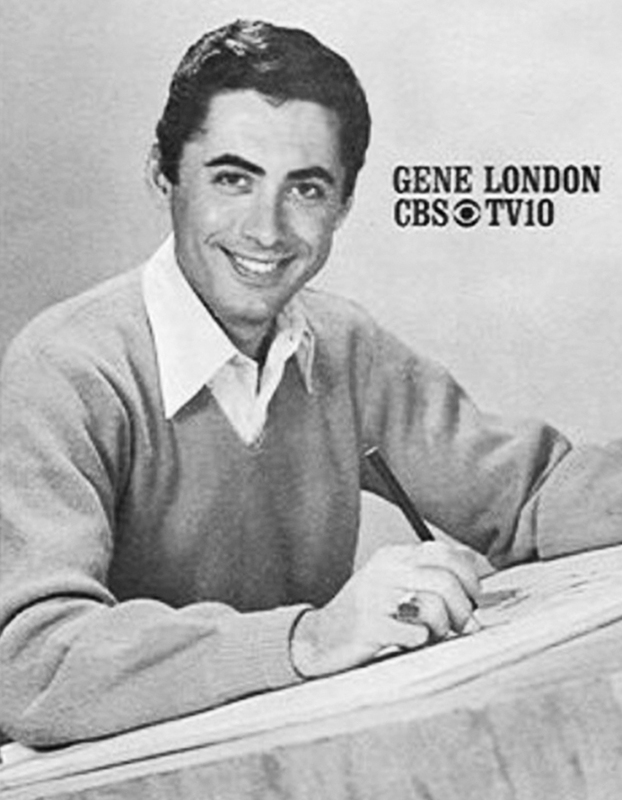 Philly TV kiddie-show host Gene London often drew on-camera while he told stories. I loved monsters, but at 5, I’d never seen a monster movie. 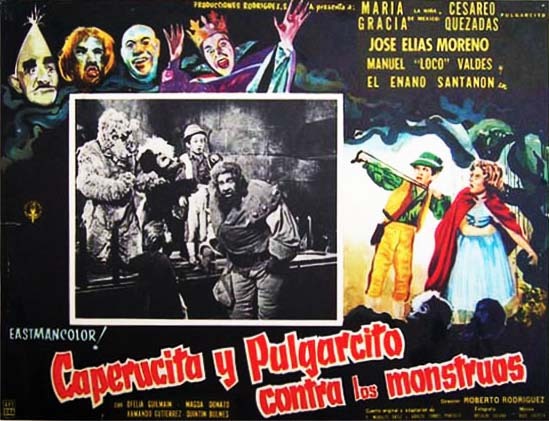 There were lots of commercials for “Little Red Riding Hood and the Monsters” when the 1962 Mexican film came stateside in ’65. Somehow, the K. Gordon Murray industrial complex must have gotten to London, a soft-spoken young man with dark hair and kind eyes whose show truly conjured a world of imagination for kids. London often drew on-camera while he told stories. 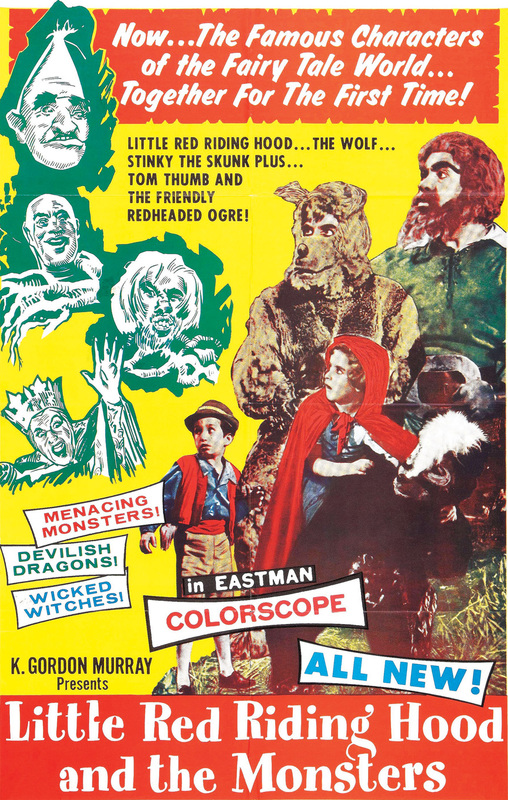 So I was jazzed to see “Little Red Riding Hood and the Monsters.” But for me, this event wouldn’t occur for more than 50 years. (Thanks, Mom and Dad, for teaching me delayed gratification. Many times over.) The wait was worth every minute of every year. “Little Red Riding Hood and the Monsters” is every bit as WTF? as its title would indicate. 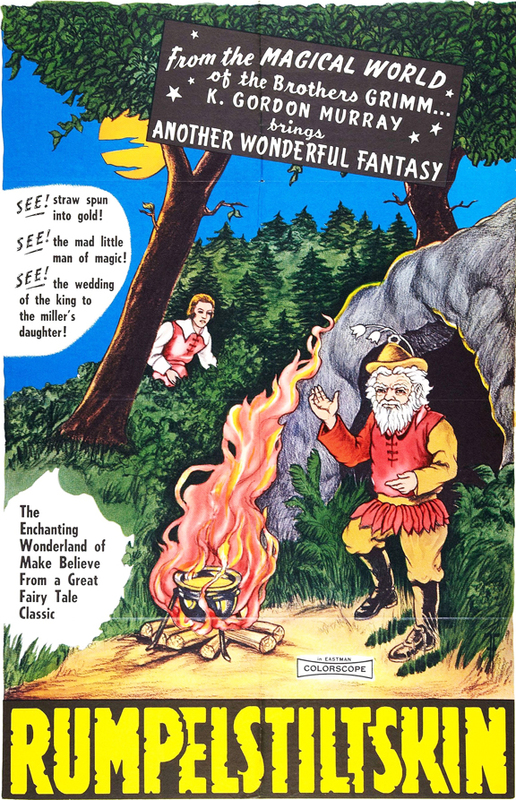 An “enchanting wonderland of make believe.” Yeah, right. Mexican filmmakers had a way of creating entertainment for children that was disturbing, wrong, brain-twisting, surreal and sometimes not-quite-child-friendly. It’s like watching Disney with a 102-degree fever. Movies like “LRR&TM” actually played in American movie theaters. American children, spoiled rotten by the irreproachable quality of Disney films, actually watched these mind-melting imports. Our moms dropped us off, and then went shopping for a couple of hours, believing we were in good hands, watching wholesome, heartwarming kiddie fare. From the first frame, we knew we were at a funeral. This movie was depressing. The little person who played Rumpelstiltskin looked ancient, forlorn … and, not for nothing, vaguely drunk. However old he was in real years, he was 70 in dog years. Now that I’ve finally watched Roberto Rodriguez’s “Little Red Riding Hood and the Monsters,” I can say that it offers the same bittersweet brand of lost-in-translation weirdnesses. Plot: At a castle in the Haunted Forest, a tribunal is taking place. The Ogre (Jose Elias Moreno) and the Wolf (Manuel “Loco” Valdes) are being tried for treason by a jury of fellow monsters. Their crime is to befriend and give aid to Little Red Riding Hood (Maria Gracia) and Tom Thumb (Cesareo Quezadas), when, as monsters, the Ogre and the Wolf should be eating the children. Carrot Head (left) and Siamese twins Dogface and the crazy bald guy relish their roles as jailkeepers at the castle of the Queen of Badness. Prosecuting the case is the Vampire (Quintin Bulnes), who is tricked out John Carradine-style in top hat, white gloves and cape. 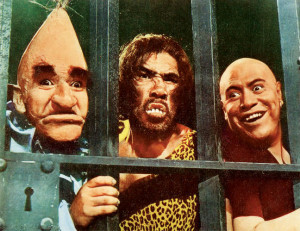 On the jury are Carrot Head, the Kidnapper, Frankenstein (in boxy makeup that anticipates Hammer’s “The Evil of Frankenstein”), Two-in-One (Siamese twins, one a fanged guy named Dogface), a clunky robot (not too far removed from the giant can-opener of “Robot vs. the Aztec Mummy”) and Hurricane (who creates fierce winds with his breath). Yeah, most of these characters barely qualify as monsters. The Queen of Badness (Ofelia Guilmain) — who looks enough like the evil queen in the 1937 “Snow White and the Seven Dwarfs” that Disney could have sued — sentences the Ogre and the Wolf to death. She further decrees that she will put a curse on the villagers to get at Little Red Riding Hood and Tom Thumb. By pouring a blood-colored potion into the water supply, she turns the villagers into monkeys and mice. Ofelia Guilmain as the Queen of Badness in “LRRH&TM” looks enough like the evil queen in the 1937 “Snow White” that Disney could have sued. Accompanied by their friend Stinky the Skunk (Santanon), Red and Tom set out to free the Ogre and the Wolf, and undo the Queen’s curse. Tom’s weapon: a slingshot. Red’s weapon: ruthlessness masked by sweetness. (One move she pulls on the Queen of Badness is cold, dude.) Mayhem, mirth — and an experience akin to “The Wizard of Oz” on acid — ensue. Adding to the overall oddness of “LRRH&TM” is that fact that it is a musical. The lyrics as sung have odd metering, likely due to their English translation. Little Red Riding Hood’s English singing voice sounds like that of a 30-year-old. Plus, the same woman’s voice is heard as Tom Thumb (!). The Frankenstein in “LRRH&TM” anticipates the title creature in Hammer Films’ “The Evil of Frankenstein” (1964). Maybe Azteca Films should have sued Hammer? Some cast members of “LRRH&TM” can be found in other K. Gordan Murray-released Mexi-movies. Bulnes (the Vampire) played the black-clad voodoo priest in “Curse of the Doll People” (1961) and acted opposite Boris Karloff in two films, “Isle of the Snake People” and “House of Evil” (both filmed in 1968). 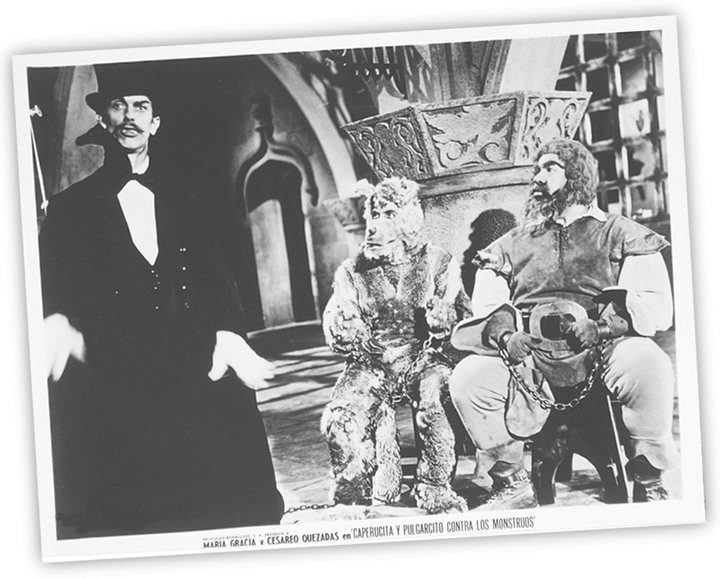 Santanon (Stinky), too, appeared in two Karloff films, “Isle of the Snake People” and “Fear Chamber” (also filmed in 1968). Moreno (the Ogre) made cult-cinema history as the surgeon who performs what was purported to be an actual filmed heart transplant in “Night of the Bloody Apes” (1972). (It was a publicity hoax, decades before “The Blair Witch Project.”) Moreno also played the title character in “Santa Claus” (1959). Say no more. In fact, a potentially spirited debate would be: Which Mexican children’s film is weirder, “Santa Claus” or “Little Red Riding Hood and the Monsters”? Both movies are veritable LSD trips. This would be a toughie, but if you aimed Tom Thumb’s slingshot at my head, I’d have to argue on the side of “Santa Claus,” which has the (albeit, unfair) advantage of freaky religious undertones. It all makes me wonder: What would I have thought of “Little Red Riding Hood and the Monsters” if I had seen it when I wanted to, at age 5? I’m guessing I probably would have thought it was a bona fide monster movie. (I was desperate to see monsters.) I would have recognized all of the comedy, of course, but I likely would have thought the Vampire, Frankenstein, the fire-breathing dragon and Dogface were cool monsters. What did I know?